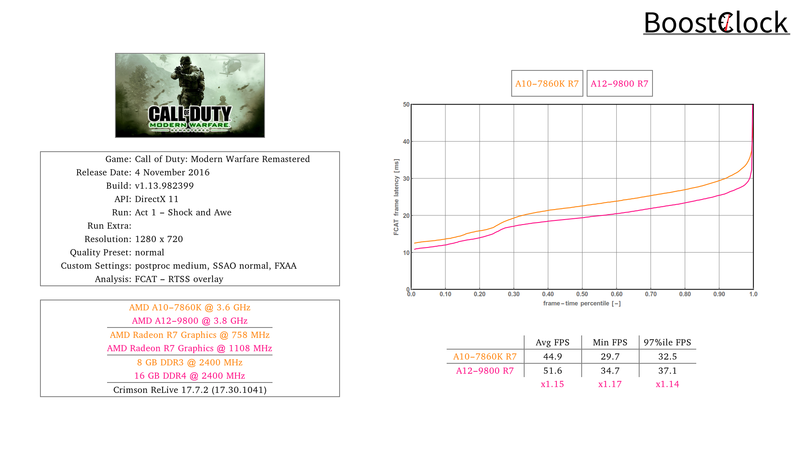 How much faster is the A12-9800 in Call of Duty: Modern Warfare Remastered? To benchmark the game we complete the first section of the "Shock and Awe" mission, flying above the Saudi capital in a CH-46 Sea Knight, providing firing support with the Mk 19 grenade launcher. With 720p and medium & normal settings the game plays just above 30 FPS on both systems. 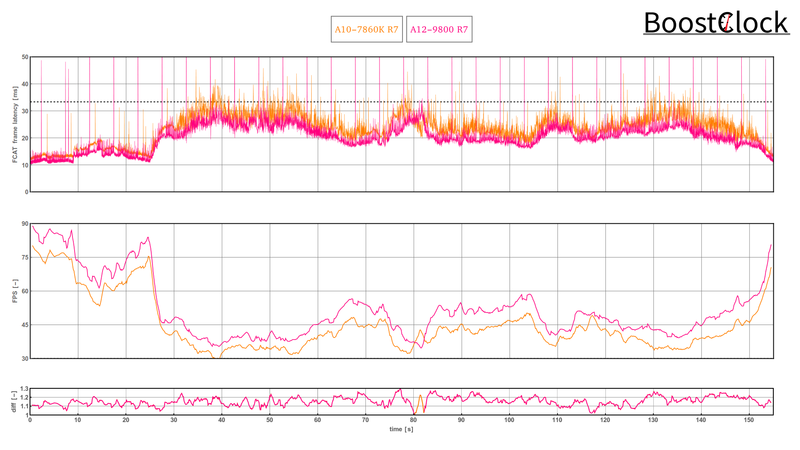 The A12 manages to score 15% above the older Kaveri A10, but regular noticeable frame spikes occur.